We had overwhelming support especially for the Beneficiary Tickets and this allowed us to reach out to communities that would otherwise not have gotten the opportunity to be at the Esplanade Concert Hall. Other than Care Corner Family Service Centre (Woodlands), our beneficiaries included Special Seeds Singapore, Rare Disorders Society, Daughters of Tomorrow, and students from low-income families. 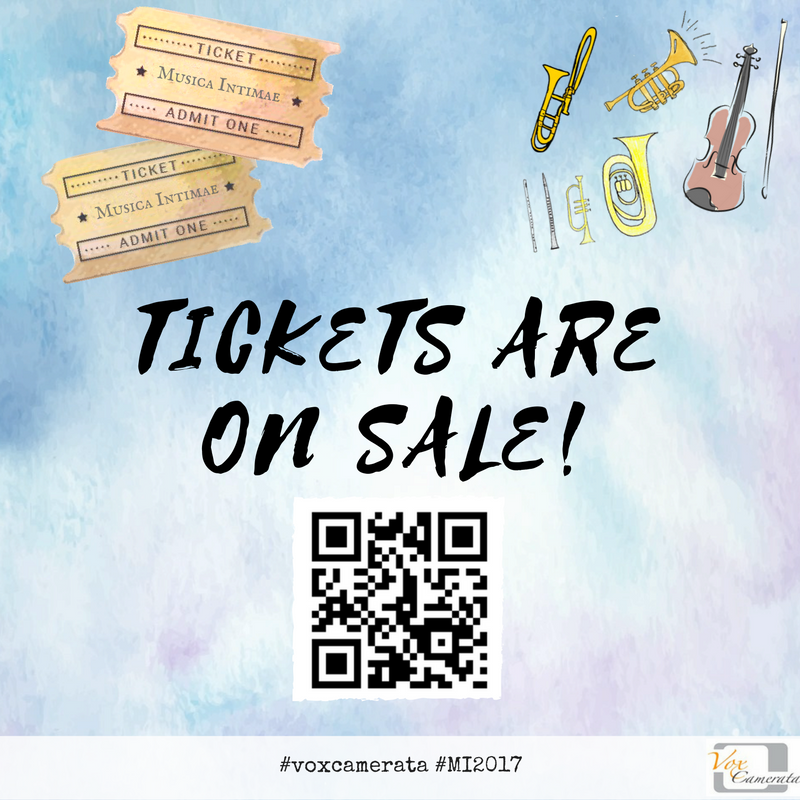 Vox Camerata is committed to ensuring that music is accessible to people regardless of musical background, expertise and experience. We couldn’t have done this without you – thank you! 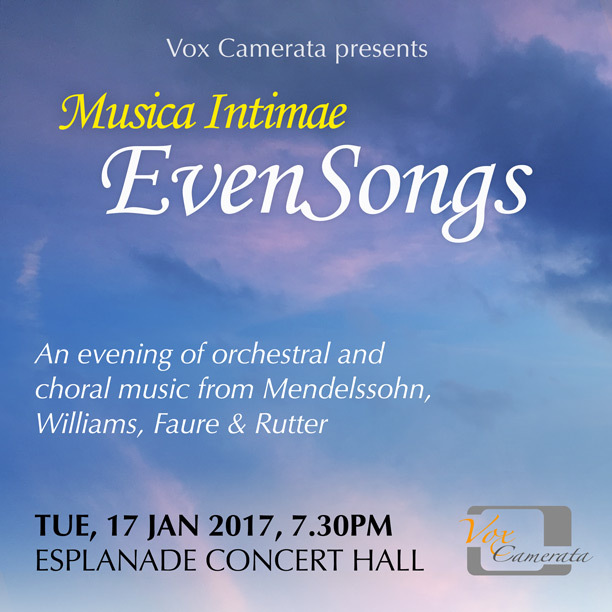 Having successfully completed its first concert tour of Australia’s Southern Queensland at the invitation of Brisbane’s St. John’s Cathedral in 2015 as well as a season of a capella concerts and performances in 2016, Vox Camerata now looks forward to its next challenge: to perform choral-orchestral works. Teaming up for the first time with our friends from The Young Musicians’ Foundation Orchestra (TFYMO), The Anderson Junior College Alumni Choir and The German Protestant Church Choir, 2017’s Musica Intimae opens with Felix Mendelssohn’s The Hebrides Overture, followed by Ralph Vaughan Williams’ 5 Mystical Songs, Gabriel Faure’s Cantique de Jean Racine and finally, John Rutter’s Magnificat. The choir and orchestra are also honoured to have the talented Soprano soloist, Akiko Otao and Bass soloist, Brent Allcock, join us on stage. This installation of the Musica Intimae series is entitled EvenSongs. This is in reflection of the pieces that will be performed for the concert. The concert begins with the Hebrides Overture by Felix Mendelssohn. This beautiful orchestral miniature sets the reflective tone of the concert. The text of Vaughan William’s work speaks of consciousness of the connection between the physical and the spiritual in the state between wakefulness and sleep, and also articulates the allegorical journey of the self. Faure’s sublimely beautiful work employs a lush texture of strings and voices to paint the text by the French poet Racine, and clearly shows the composer’s masterful affection of long flowing lines and arching melodies. Rutter’s Magnificat is a familiar favourite of choirs in Singapore, and the ensemble presence this with the full orchestra version. Tickets are $25 each excluding ticketing charges. This is a free-seating concert. Grab your tickets through this link: http://bit.ly/2gx1F06! Save the date! See you at the Esplanade Concert Hall. The beneficiary for our concert is Care Corner Family Service Centre (Woodlands). Care Corner FSC (Woodlands) serves the vulnerable and low income families and individuals. Through their case management and community work, they hope to help clients build and achieve independence, stability and resilience. Buy a Beneficiary ticket today and help us make good music accessible! We are looking for patrons of the arts! Simply donate $100, $200 or $500 to support the production of our concert and you’ll receive 2, 4 and 6 complimentary tickets to our concert respectively. Your name will also be featured in our programme booklet! These funds collected will be used to support our room rental and electricity bills, purchase of music scores and licenses to perform. As a group made up of volunteer singers aimed at making music accessible to anyone regardless of music background and experience, patrons like you play a huge role in helping us further our goals. 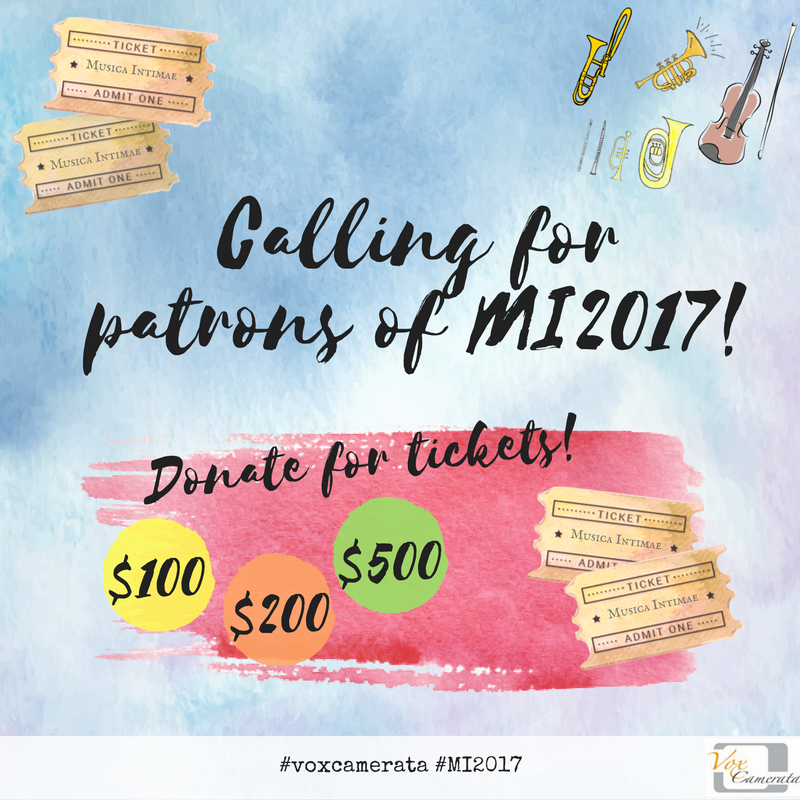 If you would like to support us, simply write to discovery@voxcamerata.com with the title “Patron of MI2017” and indicate the amount you wish to donate. Address the email to Marion and we will get in touch with you.